As well as announcing a new development kit for the Raspberry Pi mini PC to help those interested in running Windows 10 on the Pi mini PC, and aid in the creation of Internet of Things projects. Microsoft has also unveiled a possible future competitor to the innovative Google Cardboard virtual reality device, with the unveiling of the Microsoft VR kit. 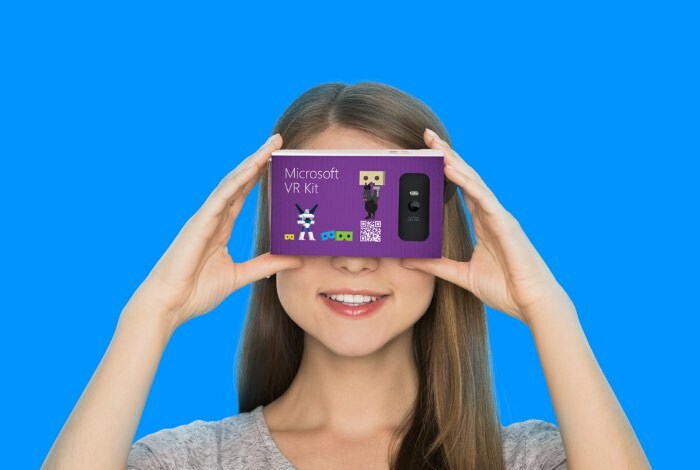 Although at the current time the Microsoft VR kit is not currently available to consumers, it has been created for a hackathon that Microsoft is holding in Russia. To build applications for the new virtual reality kit during an event that will be taking place next month on October 17th. Spend a weekend in an atmosphere of creativity and creativity. Sign up and come to the Hackathon for creating applications of virtual reality (VR) on Windows. Share ideas, comments from experts, the opportunity to find like-minded team. For successful ideas will be given a set of Cardboard, which you can use to test your application.